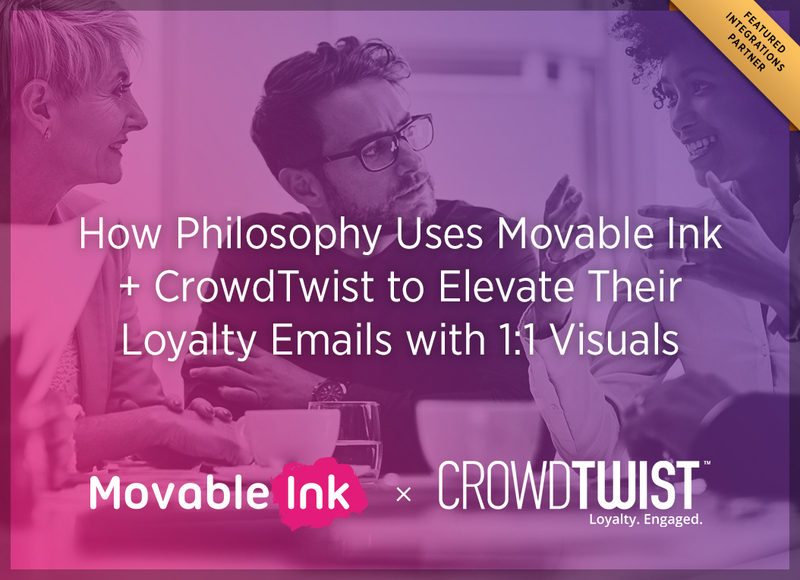 With Movable Ink and CrowdTwist, digital marketers can unlock loyalty data to create unique visual experiences at scale. Our seamless integration makes it easy to use within any existing martech stack, so there's no need to rip or replace anything. To see the integration in action and learn more about our partnership, download our case study with skincare company, Philosophy. They turned to Movable Ink and CrowdTwist to create data-driven visual experiences that were unique for every single rewards member.